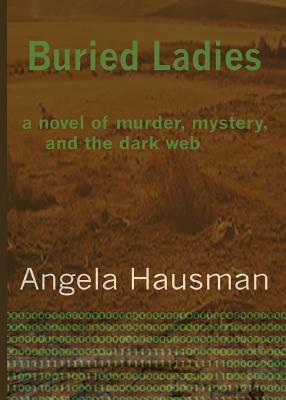 Buried Ladies, tracks a serial killer on both sides of the US-Mexican border. But, he's not even the most evil man in this novel of murder and the dark web. That title might belong to Arturo Vasquez, who once loved Estella, but now holds her hostage as part of a cartel operation that nearly ends the lives of her husband and Joan when they try to rescue her. Or is it Hector Mateo, who runs the Gulf Cartel using a cruel form of justice that eliminates an enemy's entire family. Maybe it's even Detective Morales, who has a single-minded focus that makes it impossible to accept evidence unless it supports the suspect he's chasing. "Buried Ladies" is a fast-paced novel set along the Texas/ Mexican border -- a place called the valley. It's here that our story starts with a 911 call to report Estella's murder. But, there's no body - only a missing person and a red stain on the carpeting in the home she shares with her husband, Jaime. Soon, bodies turn up in a construction site north of McAllen, but none of them is Estella. So, what's happened to Estella? Jaime flees McAllen soon after police interview him about his wife's disappearance -- they don't buy his story that she's visiting relatives. As he prepares to fly out, he runs across the real serial killer, a ruthless man who kills his victims as part of his sexual release. Many are poor women from Mexico. In the search for Estella, the story winds its way through Mexican cartels, especially the Gulf Cartel, where readers learn about how these organizations operate outside the law with impunity due to their vast wealth in a poor country. Arturo is one of the leaders. He lives in an opulent home -- really a compound where he enforces the rules of his cartel masters and stores drugs destined to reach the US through its network of mules.